Founded in 2004 by Mark Allen Gray, Gray Technologies Press is a small independent publisher of original works of literary art in print and digital formats. 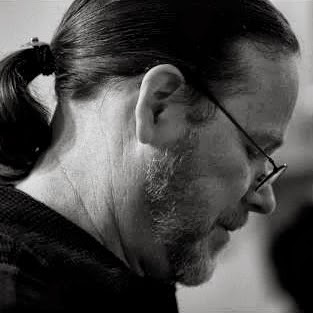 The primary focus of the press has been on Mark's books of poetry and on audio recordings of readings from the books. 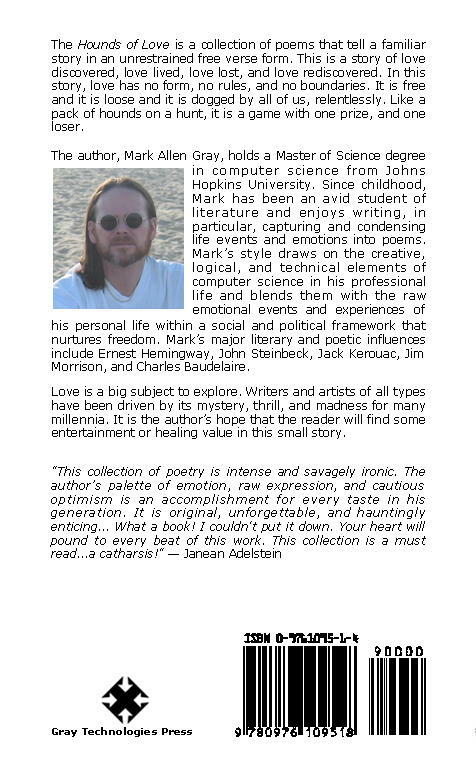 "The Hounds of Love is a compilation of fifty-eight of Mark Allen Gray's expertly sculpted free verse poems that explore the many facets of love. Written over a span of twenty-seven years, these poems candidly portray the diverse emotions ignited by love and intimately felt by the poet. Gray states that in case the readers have experienced any of these feelings, they will understand that love "is free and it is loose and it is dogged by all of us, relentlessly. Like a pack of hounds on a hunt, it is a game, with one prize, and one loser."" "Without chaos there is no peace, without struggle there is no celebration. 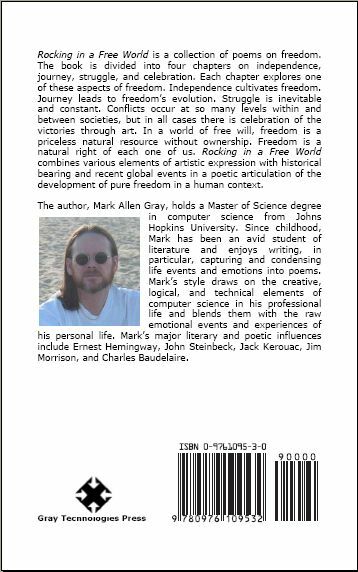 These are the concepts of a collection of poetry titled Rocking in a Free World by Mark Allen Gray... Gray’s style is point blank poetry. His words are honest and clear; his meaning is obvious... It was a delight to read this book and reflect on his purpose." Copyright (c) 2004-2016 by Gray Technologies Press. All rights reserved.